In cases of tachycardia or fibrillation, when the heart either regularly beats either too fast or irregularly, an implantable cardioverter device, or ICD, may have to be implanted in order to regulate the heartbeat and decrease the patient’s risk of serious heart-related conditions such as stroke and heart attack. 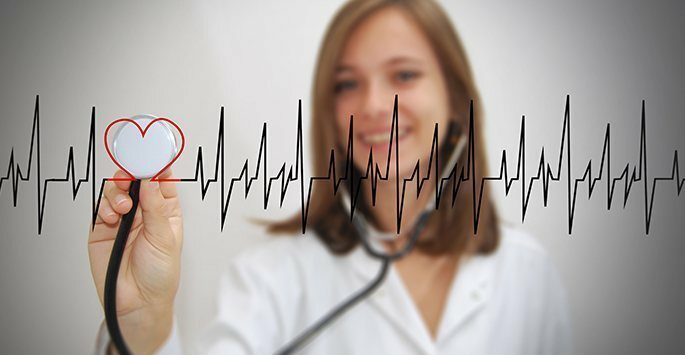 At Cardiology Consultants of Southwest Florida, we offer ICD implantation and monitoring services in order to regulate your heart rhythm and improve your quality of life. Contact us today to schedule a consultation and find out more about this potentially life-saving device. In cases of known, sustained tachycardia (a heart rate that is rapid or abnormal) or fibrillation (an irregular, often rapid heart rate that commonly results in poor blood flow), the implantation of an ICD device may be advised in order to correct the heart’s abnormal pulses and improve your heart’s functionality. This device has been shown to have positive results in patients who are at high risk for cardiac arrest, and at Cardiology Consultants of Southwest Florida, our medical team has several years of experience in ICD implantation and monitoring. An ICD, similar to how to a pacemaker functions, contains a battery pack with connected wires that run to the heart. The ICD monitors heart rate, and when the heart begins to beat erratically or too fast, the device will deliver a small shock to the heart to restore a normal pulse. Implanting this device into the chest is an easy procedure where the ICD is placed into a pocket of skin that is made just underneath the collarbone or abdomen. The ICD is about the size of the pocket watch, and the wire leads are attached to either the outside or inside of the heart. The wires are often run through blood vessels, eliminating the necessity of open chest surgery. After your ICD implantation procedure, our medical team will schedule follow up appointments with you to monitor the efficacy of your ICD device. Computer testing may be used to check how well your device is working, and adjustments may be made if necessary. Contact Cardiology Consultants of Southwest Florida to schedule a consultation and find out if you are a candidate for ICD implantation and monitoring services.